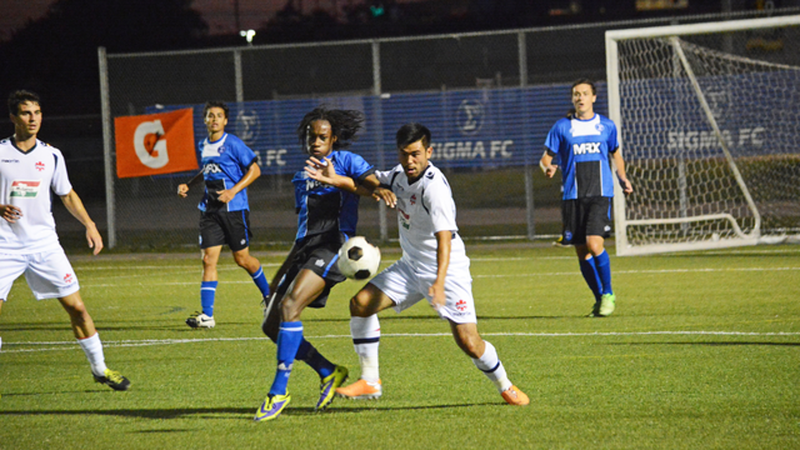 The matchup between Sigma FC and Vaughan Azzurri in the L1 Cup was poised to be an explosive encounter, and it certainly met those expectations. 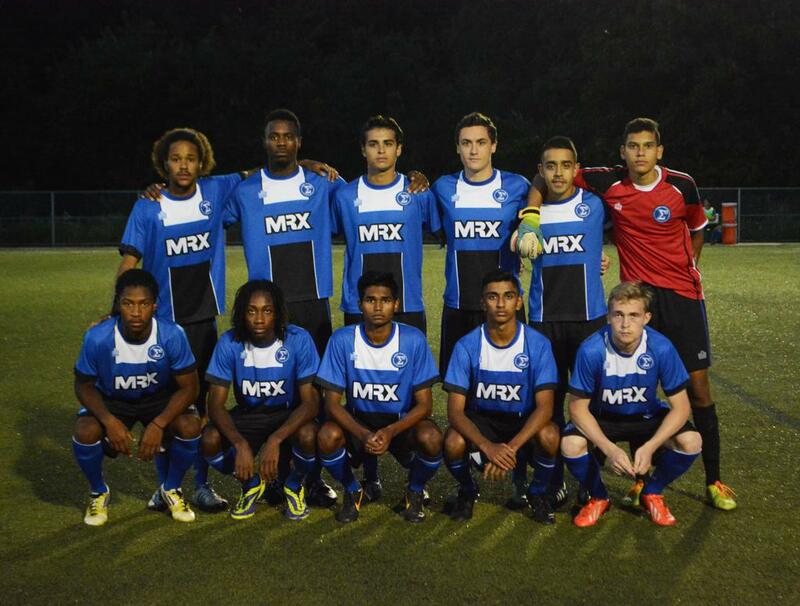 Both teams needed wins to increase their chances of catching Woodbridge Strikers in the Group B standings, but they would have to settle for one point each. From the start it was evident that both teams share similar qualities: full of pace, individual talent, and good league standing. However, from a coaching perspective, the approach to the game was radically different. 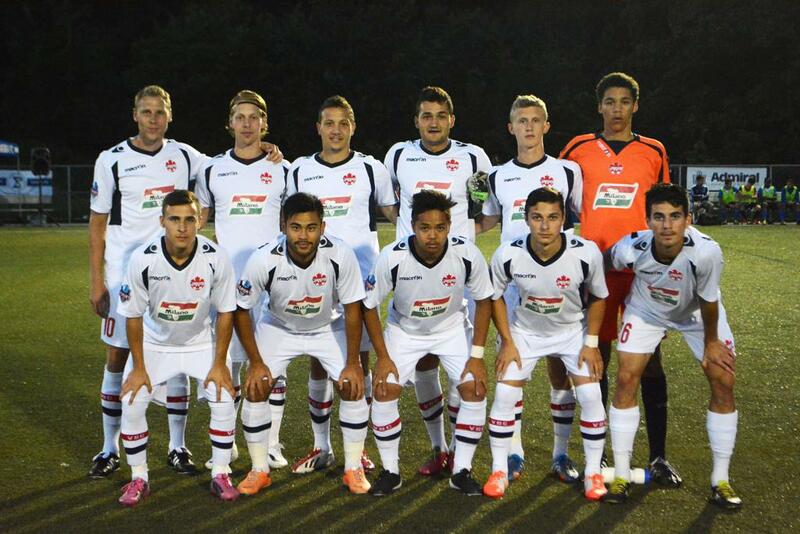 Vaughan coach Carmine Isacco fielded an experienced team, their usual starting eleven almost. On the other side, Bobby Smyrniotis went for a youthful approach, leaving key players like Emery Welshman out of the squad and giving the 96s and 97s a chance to prove themselves. Opportunities were plentiful and the game opened up early. Both teams started off with high pressure defense leading to a number of early turnovers. Six minutes into the game, Vaughan almost converted on a corner kick, but the ball flew just over the cross bar. Despite Vaughan’s positive start, it would be Sigma to score first in the twelfth minute after a lethal counterattack. Marquis Pitt received the ball on the wing and simply took off, running with the ball for about forty yards before dishing it off to Eji Mrabure for a well-placed shot into the bottom corner - 1-0 Sigma. Another chance would fall to Sigma in the nineteenth minute but they could not capitalize. Their failure to score was inevitably going to be punished as Vaughan winger, Jarek Whiteman, kept probing the Sigma defense with his direct play. Vaughan was always going to be dangerous off set-pieces because of a clear height advantage, and in the twenty-seventh minute it would be Whiteman to score a header off a cornerkick. The first half would finish tied at 1-1. Vaughan was doing great holding possession in their defensive and the midfield thirds, but they would consistently give it up once they were moving the ball in-and-around Sigma’s defensive third. This worked out in Sigma’s favor as they could utilize their speed on counter attacks through Pitts and Kadell Thomas. The two would go on to create a number of clear cut chances but it would be Vaughan taking the lead through some brilliant Joey Cichillo play. Cichillo controlled a thirty-yard ball in full stride, beating the Sigma defender for pace, and crossing the ball to Henry Moody for the easy finish. However, in the dying minutes of play the Sigma youngsters would finally get some luck for their tenacious work. Kadell Thomas completed a lob on Vaughan’s number one, Dayne St. Clair, from about eighteen yards after some sloppy defending. The game match would end in a 2-2 draw, leaving both teams behind the Woodbridge Strikers in group B. However, the Sigma coaching staff can look at this as a positive result, knowing they can rely on their younger players to step up when they are called upon.